Today the Joint Committee on Finance announced four places for public hearings on the state budget. 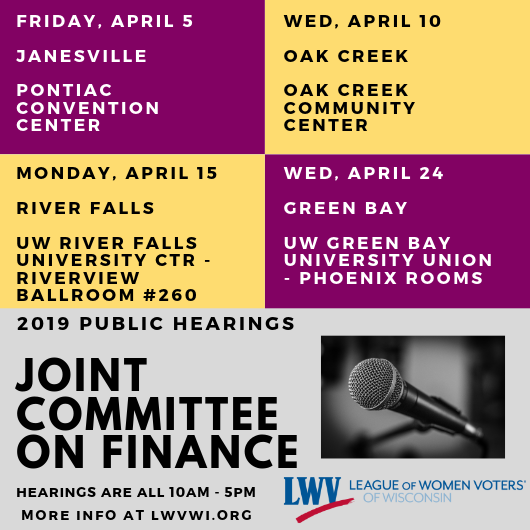 Engage with your democracy and talk to your representatives about the issues that matter to you and how they are or aren't addressed in the state budget proposal. Plan to attend a budget hearing near you. See the official notice here.